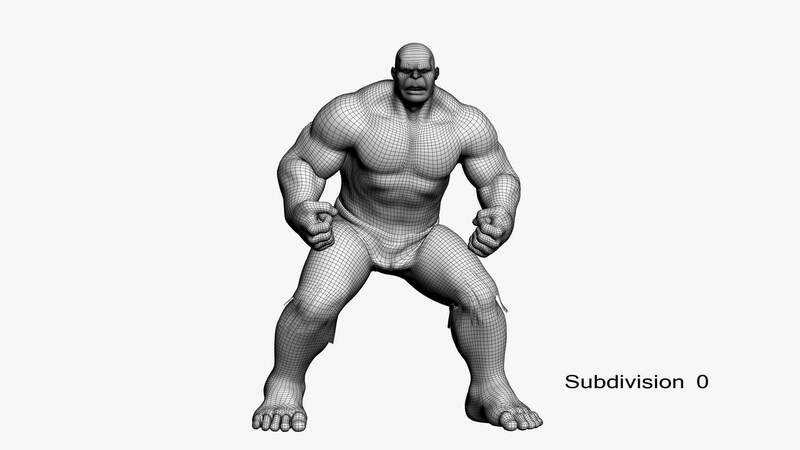 This is a rigged 3d model of Hulk as seen on the Avengers movies, played by Mark Rufallo. 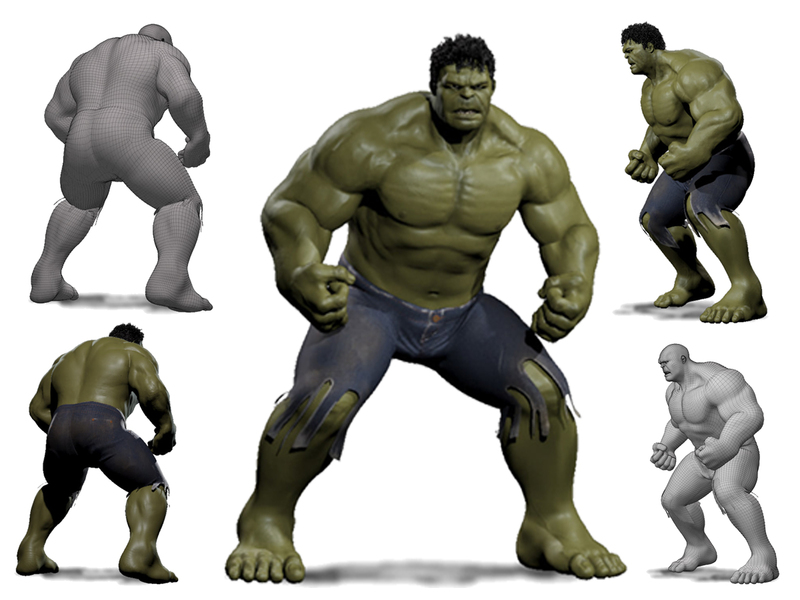 Hulk (real name: Bruce Banner) is a fantastic character appearing in comics from Marvel Comics. 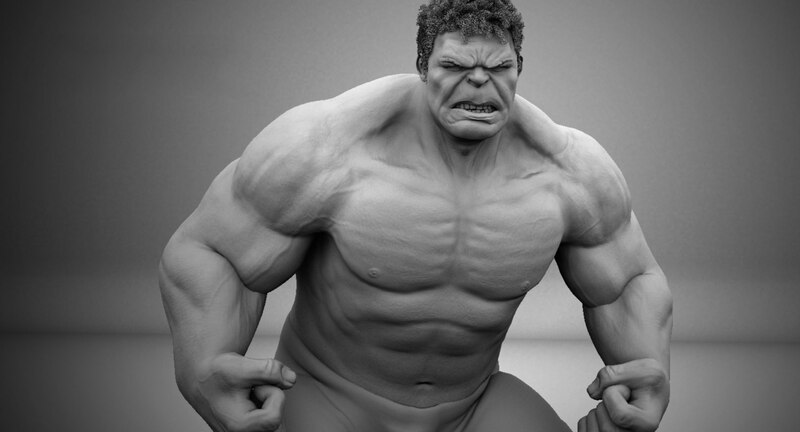 Created by Stan Lee and Jack Kirby, Hulk first appeared in "The Incredible Hulk" in May 1962. Since then, he has become one of the most recognizable characters of Marvel Comics. After being exposed to a gamma-ray bomb, scientist Bruce Banner turns into a furious green monster, Hulk. The character is often pursued by the police and the army, due to the disasters it brings to its course. 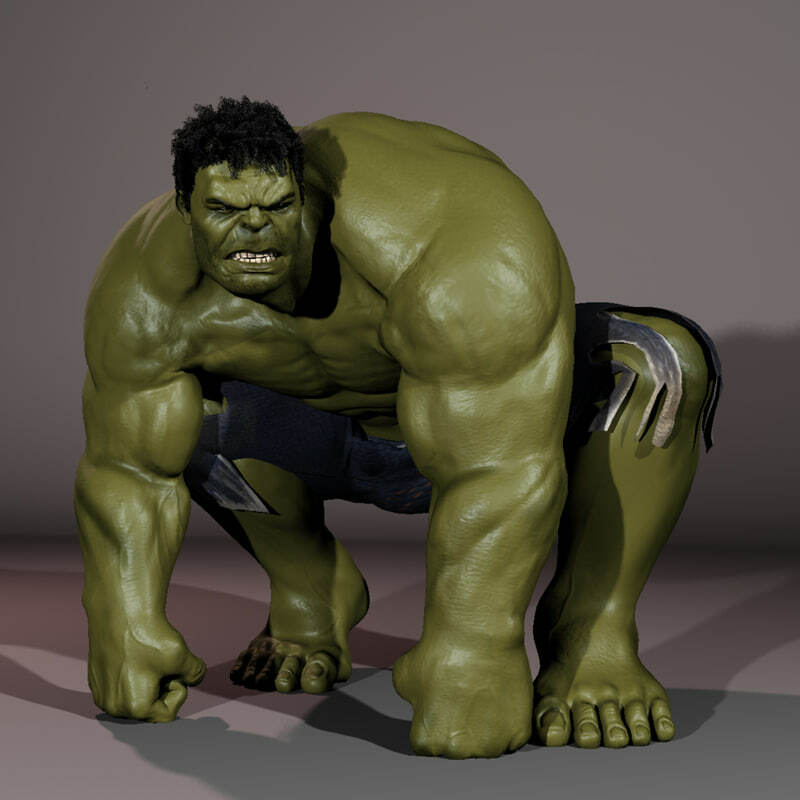 The main feature of Hulk is his tremendous physical strength. 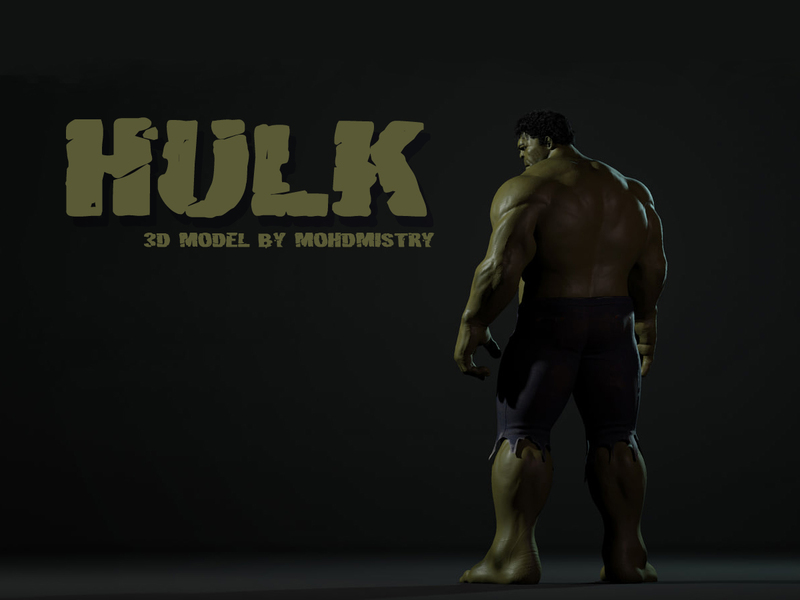 His strength usually depends on his psychological state and especially his anger, while proverbial is the phrase "the more angry Hulk is, the stronger he becomes". He is considered the most powerful hero of Marvel. 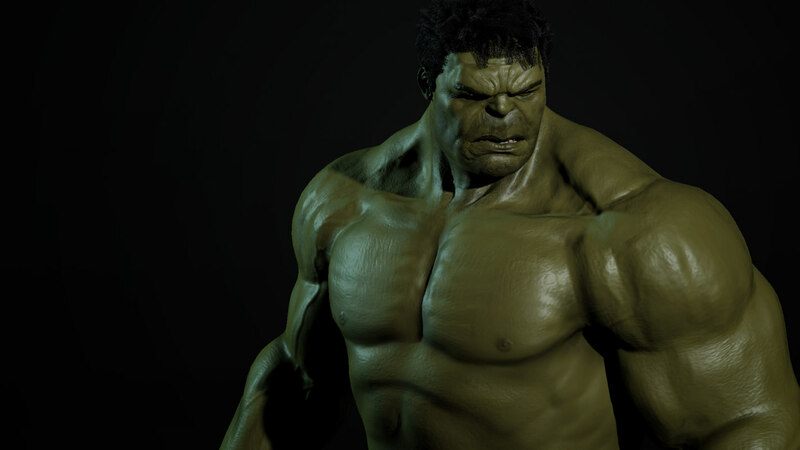 In addition to its natural strength, Hulk has other supernatural properties such as its resistance to different temperatures, poisons and physical trauma. His body may also be self-healing immediately if he suffers a severe trauma. He can heal its wounds in seconds! It also does not have the need to breathe in water or in space. His powerful legs enable him to make several kilometers.